OLD PARKED CARS. : 1987 Nissan Sentra SE Sport Coupé. 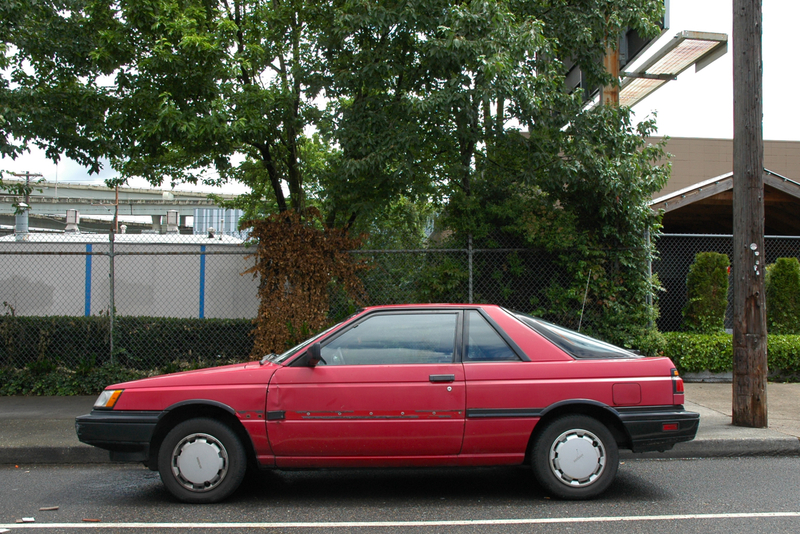 1987 Nissan Sentra SE Sport Coupé. 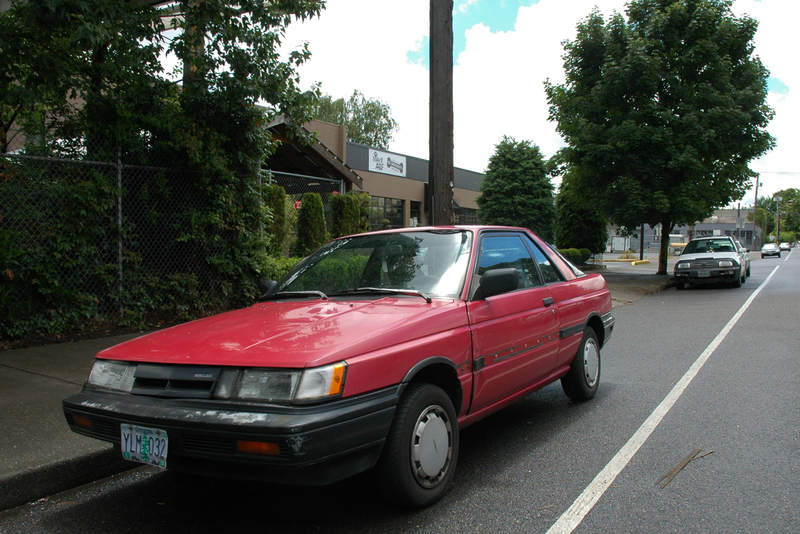 Mid eighties Japanese hatchbacks stickin' together, see the Camry. oh wow. I had totally forgot about these things. great find. Quintessentially eighties to me. I assume the gauge cluster is one of Nissan's graph-paper grid (which was so high-tech looking) deals. These are cool as hell, great find. Love the profile and the rear shot. Oh you photoed this one. I remember this gen of Sentra also offered a bodystyle of 3dr hatch, which is extremely hard to see today. 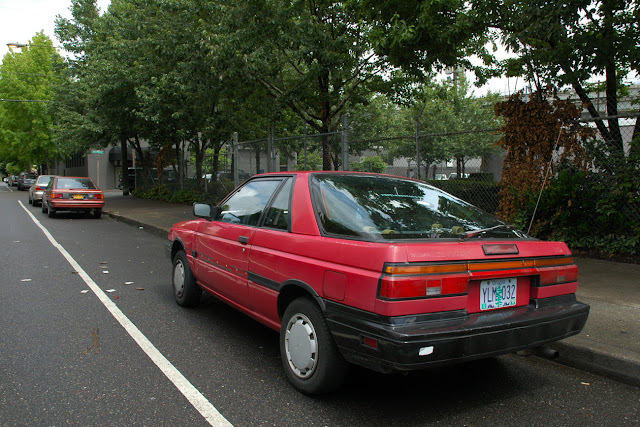 Sentras of this era could be had in this sport coupe, 2-door sedan, 3-door hatchback (rare in the USA like Mark said), 4-door sedan, and 5-door hatchback. PLUS the Nissan Pulsar NX which was also basically a Sentra. Since the 2000 model year all we get is a 4-door sedan. So boring!